Per Variety, the teens were taken in by law enforcement officers in Paris. The 18-year-olds, identified as "Nassim B." 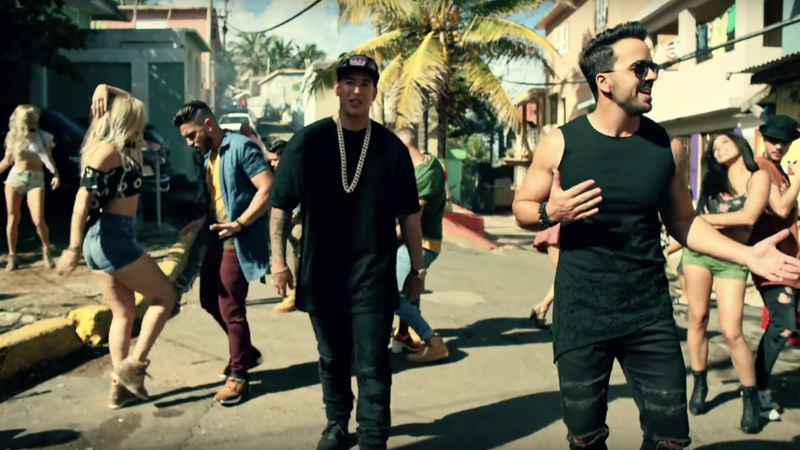 and "Gabriel K.A.B.," are believed to be responsible for hijacking several Vevo accounts to publish pro-Palestine messages on wildly popular videos, including the music video for "Despacito" by Luis Fonsi and Daddy Yankee. Nassim B. and Gabrial K.A.B. went by the online monikers of "Prosox" and "Kuroi'ish" when they carried out their hack and tagged a handful of videos with their names. In addition to hitting the most-watched YouTube video of all time, the teens also defaced videos from Adele, Chris Brown, DJ Snake, Drake, Katy Perry, Selena Gomez, Shakira, and Taylor Swift. Other than changing the titles of the music videos to include pro-Palestine messages (or in some cases, just silly comments like "Drake has been killed by Prosox on fornite"), the hackers didn't really cause much damage. In a few cases, they changed the thumbnail for a video to a still image from the TV series Money Heist. The videos were temporarily pulled down from YouTube in order to restore the titles and images. In a tweet made shortly after defacing the video, the hacker going by Prosox said the whole hack was "just for fun" and was done using a simple script. "Dont judge me i love youtube," he wrote. For their short-lived hack, the two teens face a total of 11 criminal counts between the two of them, brought as a collaboration between the Paris Prosecutor's Office and the Manhattan District Attorney's Office in New York, where Vevo operates. Nassim B. was hit with five counts and Gabrial K.A.B. faces six counts of his own, including "fraudulently modifying data contained in an automated data processing system." Just a few months prior to the teens gaining access to Vevo accounts on YouTube, the music video service fell victim to a massive hack that exposed more than 3TB of internal data, much of which was believed to be sensitive in nature. The breach included everything from office documents, videos, and promotional materials to alarm codes for disabling the alarm in the company's UK offices. There has been no indication to suggest the teens believed to be responsible for defacing Vevo music videos had any part in the earlier hack.